For the love of me and mine, who is they? 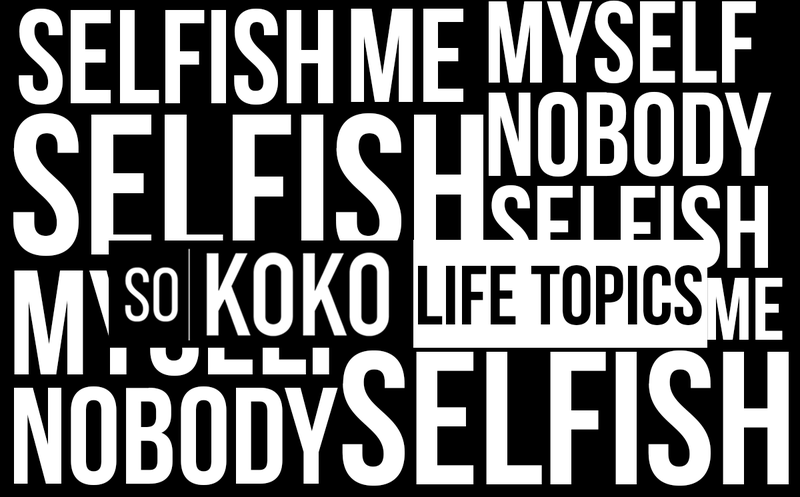 You know SO KOKO like to keep it real, who else is struggling to NOT be selfish? Or , for our good moral individuals, who's struggling to be a bit selfish for once? The real struggle is sorting the order - Who comes first? While the conventional and often religious view is to put others first, 99.9% a lot of us end up regretting it. A lot of us are tight fisted now because we once lent our hands out, reached out frequently and had are hands bitten off. In world that on the hand promotes self-centeredness, me me and me selfish selfie and on the other says to put others first? How do you strike the balance? Am I all about me so I forgot others or am I all about others that I forget myself? Who comes first? If I place my benefit before yours, does that make me selfish or sensible? If I have your back, who has mine?